One of the best perks to being a writer is when a fan is inspired to create something or someone from your stories. You check your Discord and then a fan sends you an image. You’re eyes and smile grow wider as you look at the art piece and a warmth wraps around your heart. It truly is a wondrous and loving feeling. One of my characters struck a chord with the artist. Taking and bringing to life a character from my book Lewd Kingdoms: Shadow’s Edge. Edric is the main character, a Summoner whose first creature he acquired was a rather voluptuous ogre with a slight drinking problem, Leeta. Leeta is a seven foot ogre who wields a mace, loves wine and protects her summoner with fierce power. Like many of my characters I create, she is fun and powerful. I could go on and on about her but color me surprised when a fan set about bringing her to life. Version 93 is the artist and asked for some feedback after showing me an image of the beautiful ogre. I gave a tip or two and he came back with such wonderful designs. Then he sent me over the moon by providing more pics of Leeta. I’ll let you be the judge but if you want to see more of his work, visit his Deviant Art Page! I love the last pic because that is almost exactly how I picture Leeta’s face when she drinks. Again, I have to say thank you Version 93 for the amazing pieces! 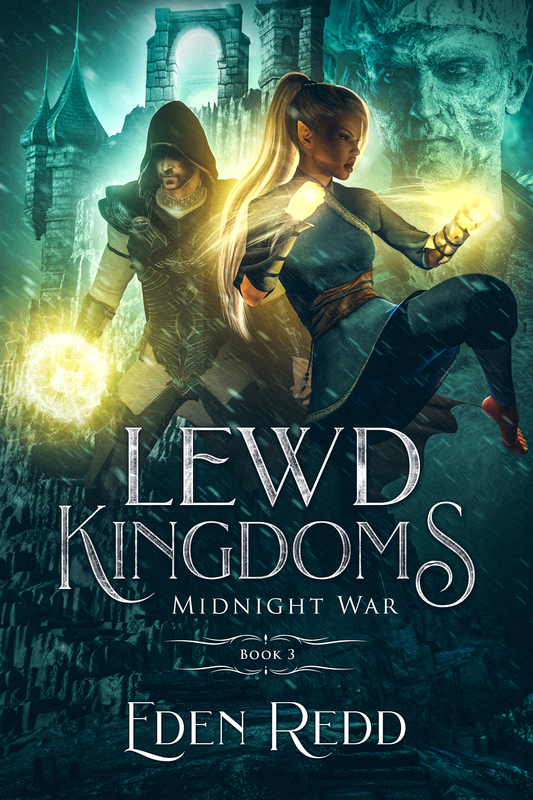 Next Lewd Kingdoms: Fallen Throne is Live!